Thursday i went to Rotterdam with school to a museum (i'll show some photos later on), which was really interesting. Of course i also did some shopping after that with sweet friend Vera. 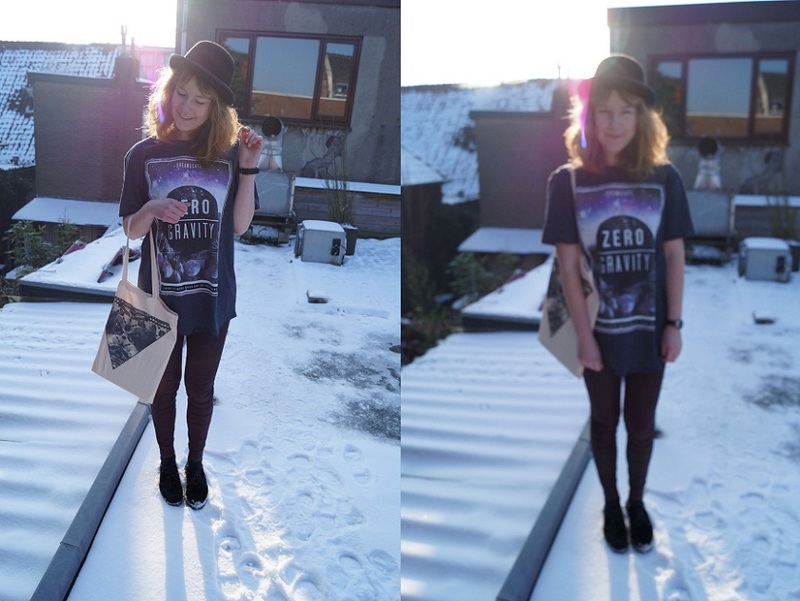 Bought 2 shirts (one seen on these photos), this hat and canvas bag. After Rotterdam i went to Cherelle from laccherelle.blogspot.nl and it was so much fun! I slept at her place and we just drank some wine, ate to much chocolate and laughed and talked a lot. It was way to long since i'd seen her! That morning we had breakfast and made some photos on her rooftop. Later i went to Amsterdam, to an open day from the art academy Rietveld. It was so interesting and it seems like an amazing school. Received a lot of information and a lot to think about (after that i also did some shopping in Amsterdam of course. Bought some pretty purple velvet trousers). Allemaal super leuk dingen, hoedjes staan jou zo leuk haha ! Naar welk museum ben je geweest als ik vragen mag haha ? Yeaaaah! Je staat er mooi op! Ben je naar het fotomuseum geweest? Amsterdam and shopping together in one sentence - sounds like a dream. :) You look great, I like your pants, dear! Die broek is echt leuk! Super leuk shirt heb je aan. Haha lief, die sokjes. 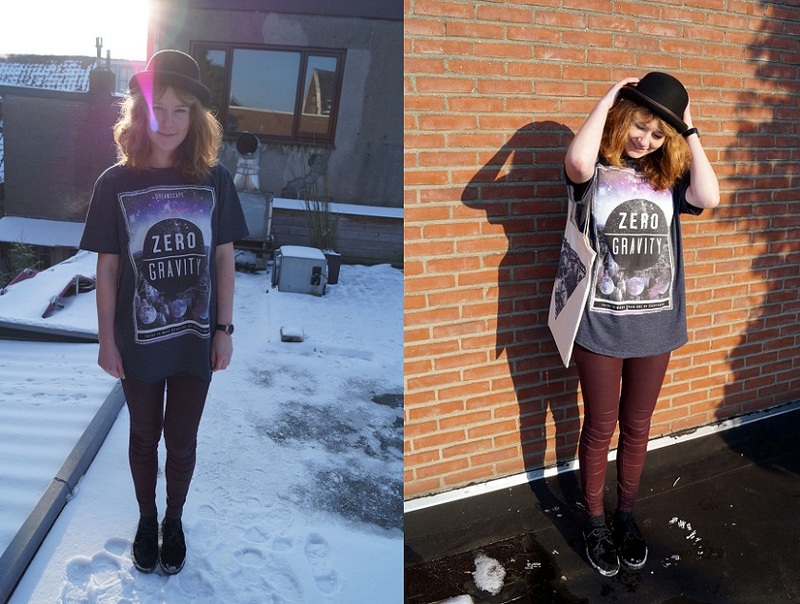 I totally love the "Zero gravity tee" and the bag. 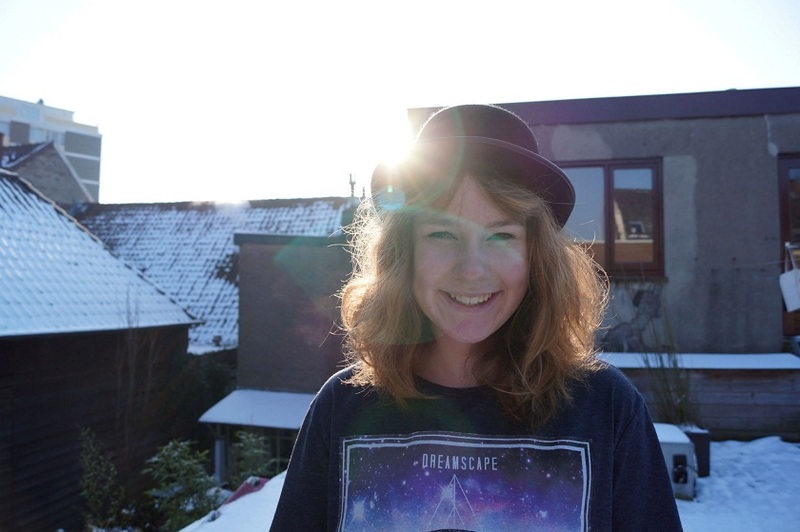 Woww dat shirt is zo mooi! 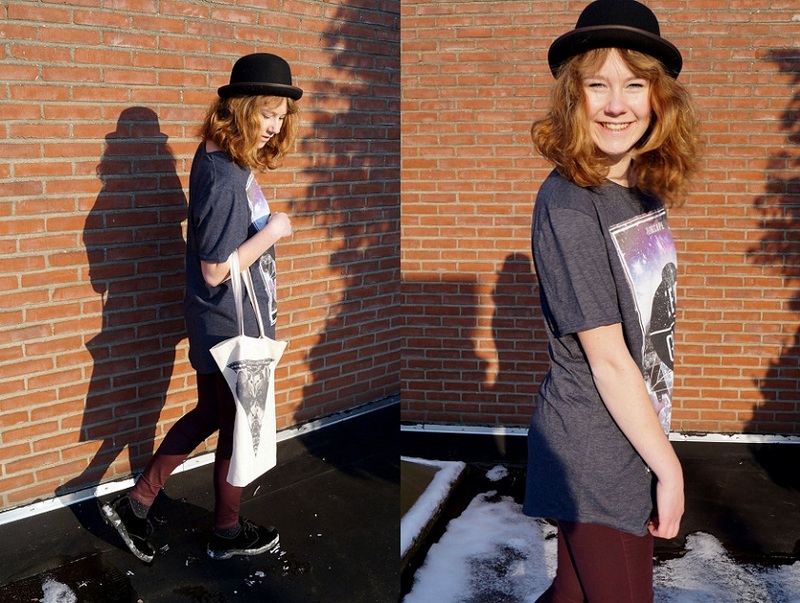 Leuke outfit,shirt staat je heel erg leuk! This outfit is amazing I love it !!! great hat ! Oh I love the hat! You look great!